These words may have been uttered a time or two, but probably weren’t heard by as many (and in such fun!) as when Fozzie delivered the line in The Muppet Movie. En route to Hollywood, Fozzie and Kermit come across the seemingly abandoned Trinity Presbyterian Church. Hearing music, they go inside to find Dr. Teeth and Electric Mayhem jamming, including Animal pounding on (then eat-ing) the drums, and Janice wailing on electric guitar. It’s subtle Muppet comedy at its finest, but it’s also a prompt to consider what is Presbyterian and what isn’t. If we start with the clichés and quips about Presbyterian life, we’d likely consider “decently and in order,” “everything by committee” and “the frozen chosen.” These phrases may be a bit silly, but at their core represent a depth, intentionality, spirituality and theology that are a full-time, lifelong journey. 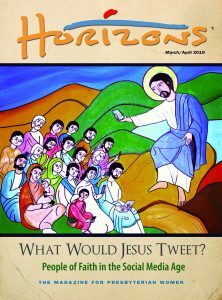 When you reflect on what it means to be Presbyterian, we hope this issue helps you consider how you would answer Fozzie’s musing. “This, Fozzie, is what a Presbyterian looks like! And here’s what informs my faith.” We hope that it helps you feel connected to others who call themselves Presbyterians, Christians and people of faith. 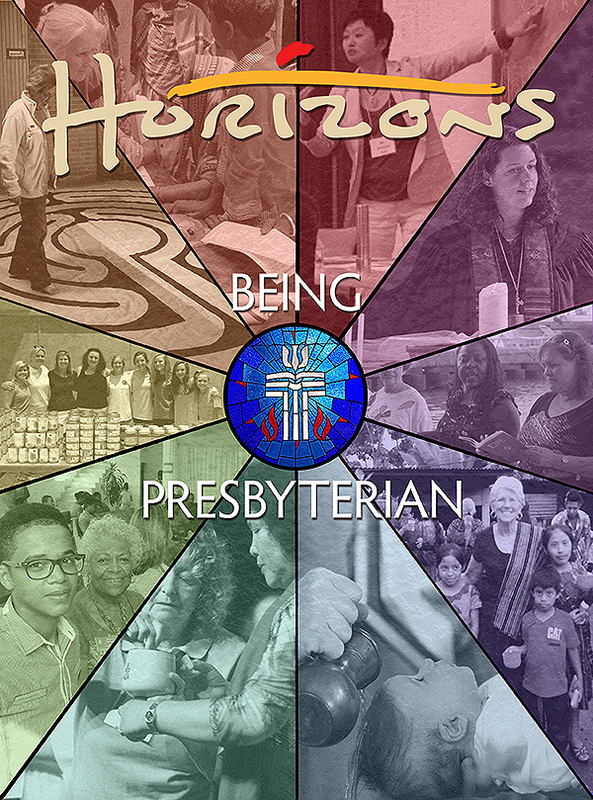 And we hope that this issue gets to the heart (and head) of what it means to be Presbyterian. Jan Edmiston explores the public perceptions of Presbyterians, including the emphasis on engaging the mind. 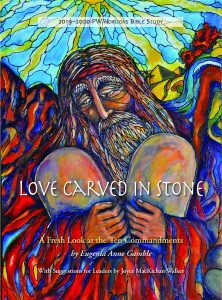 She celebrates the diverse embodiments of Presbyterian worship and invites us to live into that diversity to grow more fully as God’s people. The Book of Order is foundational to how Presbyterians organize, worship and engage the world. Barry Ensign-George reflects on the first entry in The Book of Order—F-1.01–F-1.04, on the mission of the church—and the amazing fullness and relationships possible in joining in God’s work in the world. Have Women Broken the Glass Ceiling in the PC(USA)? Elizabeth Hinson-Hasty examines Gender and Leadership in the PC(USA), a report about the differing experiences of and opinions on women and men in leadership in the church. Elizabeth identifies meaningful threads for discussion and improvement in our own communities. Around the world, people of faith will celebrate the 500th anniversary of the Protestant Reformation. Haruko Nawata Ward offers the context of the many reforms that made the Protestant Reformation possible and the bold women who were vital, yet silenced, parts of the reformations. Kathy Melvin highlights the incredible accomplishments and witness of Ofelia Ortega Suárez, the first Presbyterian woman ordained in Cuba. from her commitment to expanding what was possible for women in ministry to her smalland large-scale ecological work, be inspired by Ofelia’s determination to answer her call. The PC(USA) has committed to exploring, repairing and transforming its historic complicity in racist practices, in a season of jubilee—from 2016 through 2018. Larissa Kwong Abazia shares insights and steps for engaging issues of race, racism, ethnicity and ethnocentricity in your church, PW group or mid-council. In celebration of the Protestant Reformation’s anniversary, Joyce Shin contemplates how the spirit of reform could strengthen our ecumenical relationships. Join her in a reflection of what it meant (and means) to be invited to the table.